Two surveyors place a reflector atop a Queen’s Pyramid at Giza during the Glen Dash Foundation’s 2012 survey of the base of the Great Pyramid. 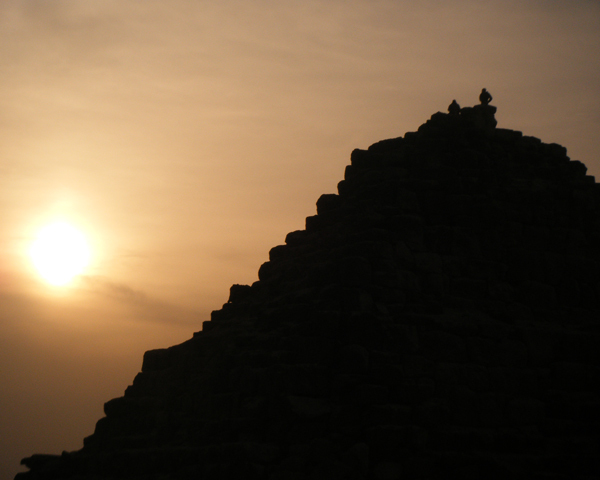 The survey led to a recalculation of the true size and orientation of the Great Pyramid. The work was performed under the auspices of the Ministry of State for Archaeology and in association with Ancient Egypt Research Associates.